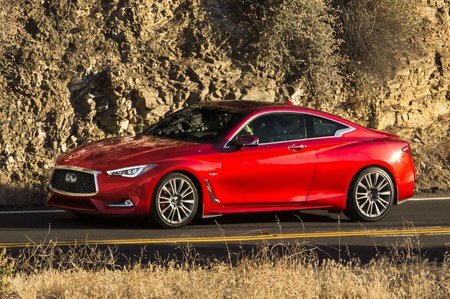 Infiniti Q60 Performance, Engine, Ride, Handling | What Car? 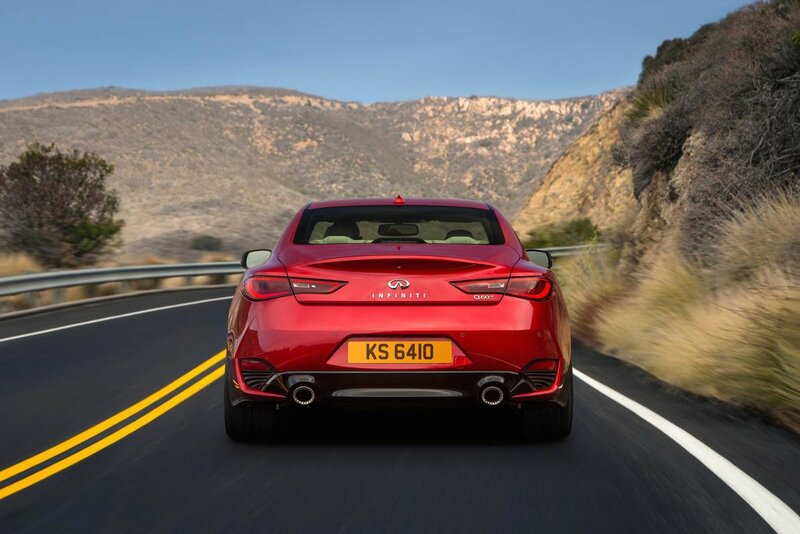 The 2.0-litre engine that kicks off the Q60 range may have a fairly modest 208bhp, but it’s enough to give the car brisk but not outstanding performance. The engine does have to work hard to deliver its best, but the rorty noise it makes in the process is at least quite pleasant. When driven normally, the engine is refined, making for quiet cruising. Move up to the 3.0-litre V6, and the performance starts to get very interesting. The standard four-wheel drive means it gets off the line cleanly and charges up to motorway speeds in no time at all. It sounds pretty good in Standard mode, but Sport and Sport + modes use the stereo to bolster the engine note. Unfortunately, they make it sound more like a computer game than a sports car. Thanks to the four-wheel drive, the V6 feels very secure in corners. The 2.0-litre may be much less powerful, but it still troubles its traction control a surprising amount. Both engines come with a seven-speed automatic gearbox that is smooth in normal use, but can be slow to shift down for maximum acceleration. We would avoid the Direct Adaptive Steering system; it has a ‘fly-by-wire’ mechanism that uses electric motors to turn the wheels instead of a traditional mechanical linkage. This does mean you don’t need to turn the steering wheel much to get full lock, but it does take some time to get used to how fast it is. The big problem is that it just doesn’t have the feedback a traditional system would, and its weight can be unpredictable. As for ride comfort, the Q60 is firmly sprung even in non-Sport trim. This means you do feel a lot of road imperfections, although it’s never outright uncomfortable. V6 models do get adaptive suspension, but don’t expect any additional comfort.